The countdown to Christmas has begun and The Magnolia Hotel & Spa‘s Victoria Christmas Package provides guests with a festive holiday getaway in a boutique hotel setting. Embracing the holiday spirit with a warm winter welcome, the lobby at Magnolia Hotel & Spa transports guests into a Christmas wonderland, accompanied by festive decor and towering Christmas tree. Escape the cold with delicious mulled apple cider paired with traditional Christmas cookies. The Victoria Christmas Package includes a $50 credit each day to be used towards; in-room dining, blissful treatments at Spa Magnolia and award-winning cuisine at The Courtney Room, recently voted Canada’s #10 Best New Restaurant in 2018, presented by Air Canada and American Express. 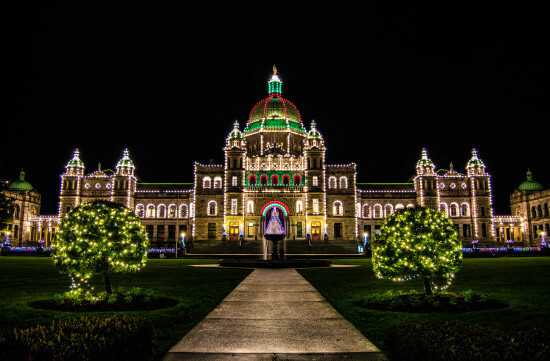 Take a stroll through Victoria’s festive downtown area and iconic Inner Harbour, as the city’s historic landmarks, including the British Columbia Parliament Buildings, light up the city. Visit the sights and sounds of Christmas long ago at the Royal BC Museum, the wood-cobbled streets laced with festive garlands and shops decked with seasonal finery. Outside the city centre, visit The Butchart Gardens for The Magic of Christmas, with beautiful garden illuminations, ice skating, kids activities, carousel rides and festive dining options. A feast for the eyes, wander over to Canada’s Gingerbread Showcase to tickle the taste buds and view the festive works of art created by professional and amateur chefs or celebrate Victoria’s cherished holiday tradition at The Bay Centre, Festival of Trees. After a day of exploring, return to the hotel for a restful night in one of the hotel’s spacious guest rooms, followed by a complimentary continental breakfast the next morning. The Victoria Christmas Package is available from December 1st, 2018 until January 5th, 2019, with rates starting from $239/night. 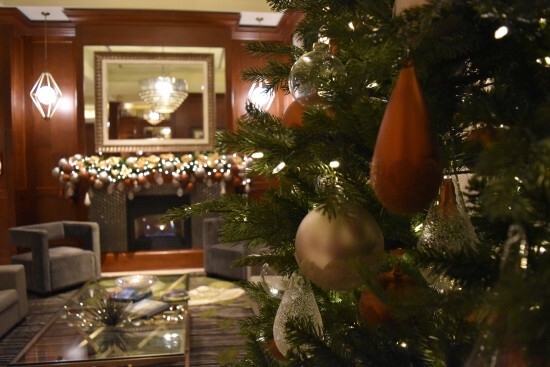 To experience Christmas in Victoria, visit www.magnoliahotel.com or call 1-877-624-6654.